Twinpine Blog: Performance Advertising - What Clients really want! Performance Advertising - What Clients really want! In 1905 John Wannamaker, the founder of Walmart said, “I know that half of my advertising dollars are wasted, I just don’t know which half”. Since then it has been his and every other merchant’s dream to make advertising accountable. Nearly 100 years later, Internet technology, with its ability to track advertising to the sale, has created a marketing model that makes this possible. Performance Advertising is this solution for digital advertising and with it, advertisers no longer have to pay for intangibles like branding. They don’t even have to pay for impressions or click-through, so there’s no guesswork about whether or not a marketing program is working or not. According to Wikipedia, Performance Advertising is becoming more common with the spread of electronic media, notably the internet, where it is possible to measure user actions resulting from advertisement. Pricing model used in performance advertising include: CPM – Cost Per Mile (Cost Per 1000 Impressions), CPC – Cost Per Click, CPL – Cost Per Lead, CPA – Cost Per Actquisition, CPD – Cost Per Download, CPS – Cost Per Sales, CPI – Cost Per Installation, CPV- Cost Per Video. 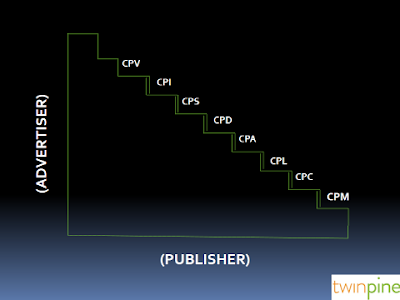 Below is an illustration showing the different levels of pricing models for the delivery of performance advertising. Senior Product Manager, Terragon Group, Eniola Moronfolu, said it eliminates the guesswork out of mobile advertising and optimizes spending by tracking, monitoring and reporting success on adverts. “Performance Advertising helps clients maximize their return on investment (ROI) as it provides ways for them to measure user engagement, Marketing channel performance, Sales and real time optimization.” She said. Content and the Market - The content should be appealing to prospective consumers. For example, in Nigeria, it is easier in to run a performance campaign in dating than e-commerce. How to Track Conversions – There should be an understanding between client and affiliate on when a conversion should be recorded, and how both parties get less errors during communication between both parties conversion trackers. Number of Clicks That Leads to Conversions – There should be a proper understand of how many times a user needs to click to reach conversion point. Targeting – What devices, OS, Carriers are your consumers using and what country can they be found? Payout – The easier the targeting, the lesser the payout per conversion and the more the targeting, the more the payout. Organizations with small budgets like Small and Medium scale Enterprise (SME) are not left out as they benefit from it. In a case where they purchase a cost per action ad, they are sure that every advertising dollar will lead to a positive return on investment. 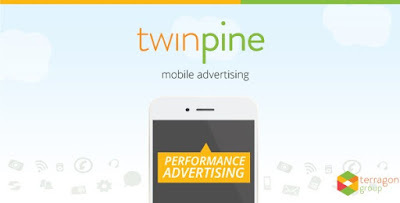 Twinpine now works with various Enterprise Platforms for mobile application tracking to provide performance advertising solutions for advertisers and publishers in Africa. Just as our innovative Advertising formats enables great experiences for mobile users, gives brands prime positioning and publishers more revenue, so do these platforms enable clients choose which methods and device identifiers are most appropriate for their users as they can be monitored by advertisers from anywhere and at any time. This stresses Twinpine’s constant move to innovate and provide clients with the most efficient and cost effective methods of mobile advertising. For more information on this, Send a mail to support@twinpinenetwork. Obinna Anyanwu is the Data and Performance Manager, Twinpine Network.